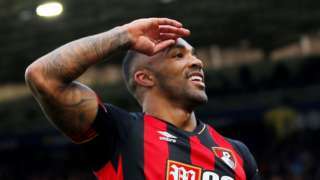 Bournemouth boss Eddie Howe says Callum Wilson is a "unique player" after the striker scores on his return from injury in the Cherries' win at Huddersfield. 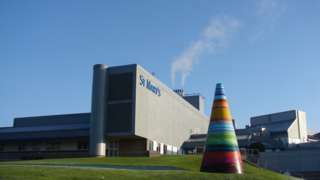 A coroner says an NHS trust only reported Serious Incident inquiries after bodies were cremated. That's all from us this week. 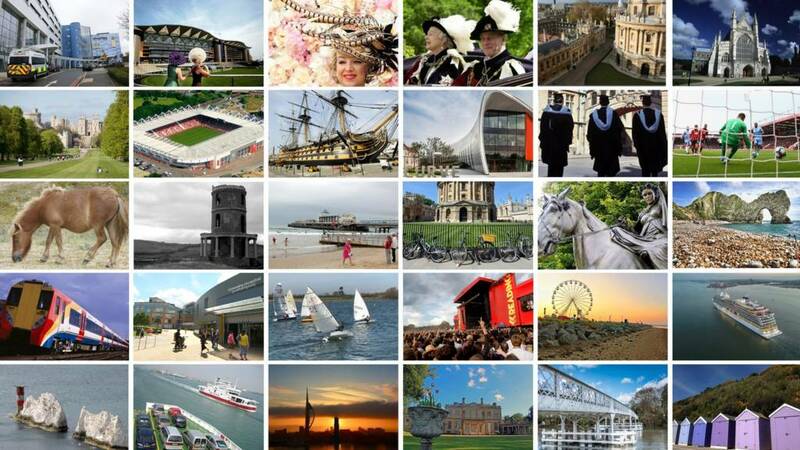 Join us on Monday from 08:00 for more of the region's news, sport, weather and travel. A portrait of Consuelo Vanderbilt, Duchess of Marlborough, the US heiress who became known as the "Dollar Princess", has gone on display at Blenheim Palace more than a century after it was painted. The portrait, by renowned French artist Paul César Helleu, was drawn during his visit to the palace in 1900 while the duke was away fighting in the Boer War. Blenheim Palace bought the painting at auction for an undisclosed sum as part of a programme to reacquire key lost artworks. The three-quarter length, virtually life-size image was a favourite of Consuelo, who reportedly kept it with her until her death in 1964. A man has been arrested after a 12-year-old boy sustained serious injuries in an assault at a property on Shaggy Calf Lane in Slough this afternoon. The victim was taken by air ambulance to the John Radcliffe Hospital with serious injuries, where he remains in a stable condition. A 21-year-old man was arrested on suspicion of attempted murder and is currently in police custody. Supt Sarah Grahame said: “We are making inquiries locally in connection with this incident, so people in the community are likely to see an increased presence of officers in the area as patrols take place." M4 Berkshire eastbound severe disruption, from J6 for A355 Royal Windsor Way Slough to J5 for A4 London Road. M4 Berkshire - One lane closed and queuing traffic on M4 eastbound from J6, A355 (Slough) to J5, A4 (Langley), because of a broken down vehicle. M25 Berkshire anti-clockwise severe disruption, at J14 for A3113 Airport Way. M25 Berkshire - One lane closed and queuing traffic on M25 anticlockwise at J14, A3113 (Heathrow), because of a broken down vehicle. A cash machine has been stolen from a shop in Waltham Road, Maidenhead, in the early hours of Thursday. Unknown offenders rammed a vehicle into the front of the KSP Superstore in Waltham Road, stealing the ATM and loading it into a van before driving off. Nobody was injured but considerable damage was caused to the shop, officers said. The cash machine was later recovered but the cash had been taken. Two offenders were seen, and are both believed to be men dressed in hooded clothing. Police added that a white Land Rover and a white Ford Transit van have since been recovered by officers. M40 Oxfordshire - Queuing traffic on M40 southbound at J9, A34 (Bicester), because of all traffic being temporarily held and an accident. A decision is being made on whether the Deputy Lord Mayor of Oxford will be allowed to continue driving taxis after he was given a court order. Sajjad Malik was given a 28-day domestic violence protection order at Oxford Magistrates' Court on Tuesday. 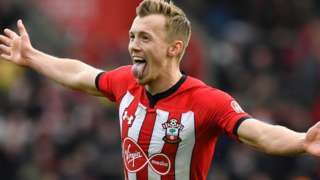 A council committee will now decide whether he remains a "fit and proper person". The 50-year-old has been suspended by the Labour Party following a request by leader Susan Brown. Mr Malik, who has been a councillor since 2004, told the BBC: "No, I won't [talk about it] sorry. "Image caption: Mr Malik, who has been a councillor since 2004, told the BBC: "No, I won't [talk about it] sorry." A 22-year-old man from Southampton was hit by a vehicle and stabbed several times in Oxford. A 32-year-old man has been arrested after a woman in her 20s was sexually assaulted. Hampshire Constabulary said the woman was walking in Cross Street, Portsea, last Sunday when a stranger grabbed her from behind and groped her. Police say the suspect from Waterlooville has been arrested on suspicion of sexual assault and remains in custody. George Michael's private art collection is up for sale. The singer, who died at his home in Goring, Oxfordshire, on Christmas Day 2016, had works by artists including Tracey Emin and Damien Hirst. Bidding for some pieces opens today online with the main auction day at Christie's in London on Thursday next week. A sheet of paper left at a local store says it was done to celebrate International Women's Day. 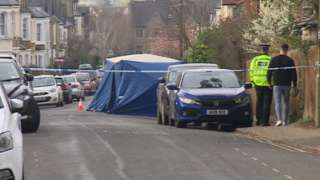 Two further arrests have been made over the death of a 22-year-old man in Southfield Road, Oxford, who died in hospital on Wednesday - a week after he was attacked. 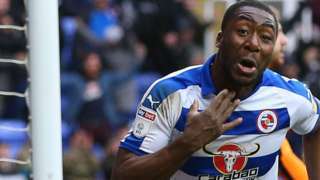 A 20-year-old man from Oxford, who had previously been arrested on suspicion of attempted murder and released on bail, has now been re-arrested on suspicion of murder. A 27-year-old man from Thame was also arrested overnight on suspicion of murder. They both remain in custody, along with a 19-year-old man of no fixed address and a 25-year-old man from Oxford, who have also been arrested on suspicion of murder. An 18-year-old man held on suspicion of murder has been released on bail until 4 April and a 22-year-old man arrested in connection with the incident last week remains on bail until 27 March. 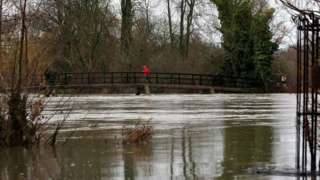 Campaigners raise concerns over £30m plans to build flood defences along the River Thames in Reading.